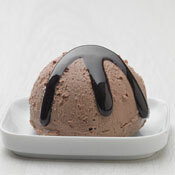 For years Gelatop has been the market leader with its ice cream toppings and is always one step ahead of the trends. A comprehensive choice of flavours is offered by our product range to enable you to meet your customers’ requests individually and to stand out from your competition. 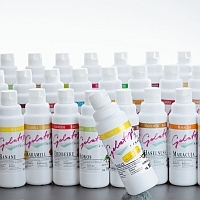 Highly versatile – you can enhance the taste and appearance of your ice-cream sundaes, puddings, fruit jellies, creams and much more with the Gelatop Ice Cream Toppings. 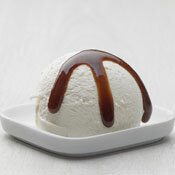 The appeal of the Ice Cream Toppings flips lies in their authentic, original taste and the optimal pourable consistency. The flavour-sealed snap lid is convincing due to its ease of use and precise dosage. Our classic Ice Cream Topping is Vanilla. It has the natural flavouring of real Bourbon Vanilla, which is the Europeans’ most popular type of vanilla due to its intense and harmonious flavour. Fruits such as raspberries, coconut, passion fruit or the ever so popular strawberry inspire due to their fantastic colouring, excellent taste and impressive shine. The creaminess and the pleasant sensation in your mouth turn the “warm types” such as Crème Caramel, Praliné or Hazelnut into a true culinary experience and our top seller Mohren is tempting with its intense chocolate flavour. In addition to this, Gelatop Ice Cream Toppings are all without preservatives and thus do not have to be declared.